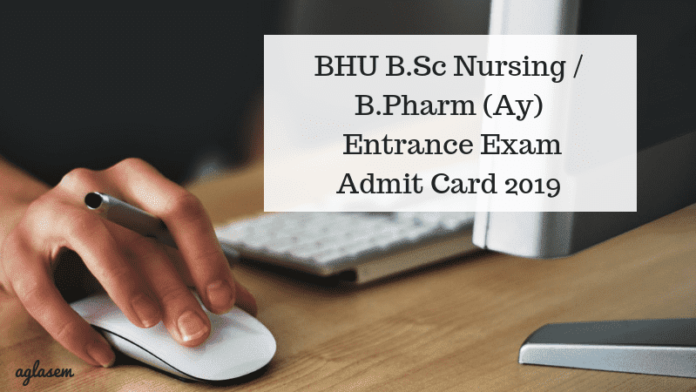 BHU BSc Nursing / B.Pharma (Ay) Admit Card 2019 will be issued once you will successfully submit your BHU BSc Nursing / B.Pharma (Ay) application form 2019. It will be released by the Banaras Hindu University in the month of June, a two weeks before the exam commencement date. A provisional admit card will be sent to your registered email id. Hence, it would be necessary for the candidates to register with correct, personal email ID and other contact details. As no candidate shall be allowed to enter the exam premises, without a BHU BSc Nursing / B.Pharma (Ay) Admit Card 2019. So, a candidate will be required to carry a xerox of the admit card released over www.bhu.ac.in, along with an ID proof. 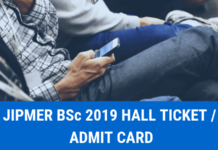 You can get complete details about the BHU BSc Nursing / B.Pharma (Ay) admit card 2019 on this page below. The provisional admit card, once released will also be sent over the registered emails of the candidates. 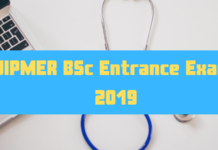 BHU B.Sc Nursing / B.Pharm (Ay) Entrance Exam Admit Card 2019 needs to be stored until the completion of the admission procedure of BHU BSc Nursing / B.Pharma (Ay) 2019. It should be duly noted that you should not tamper with any details mentioned on the admit card as it will result in your disqualification from the examination. The table below lists down all the important events and their schedules for BHU BSc Nursing / B.Pharma (Ay) admissions process 2019. A candidate needs to mark the responses with black ballpoint pen only. He or She needs to fill their examination roll number by darkening the circles. All the candidates will be required to read the instructions mentioned over the question booklet. Once he or she has received the question booklet, 15 mins before the exam commencement time makes sure that none of the pages are missing. Double writing or tick, cross mark, use of dot, line mark and half filled circle or mark outside the circle will not be accepted. Rather, a candidate will be required to mark one response, among the other four alternatives provided. And darken it properly! Once an admit card has been verified by an invigilator, only then he or she will be allowed to appear for the exam. It is advised to all the candidates to report at least 30 minutes before the exam commences. Use of any unfair means by a candidate will lead to the cancellation of the paper. You will not be allowed to appear in the examination once the exam has started. Do not carry any resource material/ lose paper/ Calculators etc. 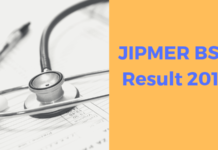 Candidates after having retrieved their BHU B.Sc Nursing / B.Pharm (Ay) Entrance Exam 2019 admit cards, can focus on clearing the exam. To clear an entrance exam like this, a candidate will require – the exam pattern and syllabus. The syllabus for this exam is said to be of CBSE senior secondary school level. While candidates can have a look at the exam pattern, from below. 40% for OBC (non-creamy layer)/SC/ST. When the entrance exam is approaching a candidate tends to waste their time looking for the reading materials( which ones to prepare from?) or seeking notes from their friends. But not anymore! Candidates can consult the booklist provided below to prepare for B.Sc Nursing / B.Pharm (Ay) Entrance Exam 2019. And can prepare their notes accordingly! BHU conducts this exam for Nursing or B.Pharm course that it offers. Mostly, the questions asked are said to be of Class 10+2 or equivalent level. For each of the books provided, we have also mentioned the buying link. You can find your admit card on the official link of BHU. This is the official website’s link.